The talent pool of country music women is so rich right now, stepping back and really trying to behold just how much genius and aptitude resides there can seize your breath. But of course you won’t see this reflected in the mainstream where the panorama for female country artists is so bleak, it takes the genre’s two very top stars screaming and yelling in a “Somethin’ Bad” moment of smeared mascara just to get the zeitgeist’s attention and raise a blip on the charts. But below the surface, you almost can’t lose with a female country record cut in the last few years. One problem however is when you narrow your female selection down to something that is truly traditional country—but not so fuddy-duddy it feels tired, or so kitschy it sounds like the Howdy Doody Show—the pickings get a little more slim. Artists like Caitlin Rose, Holly Williams, and First Aid Kit are great, but have a little more Americana and indie rock in them than real deal country. Rachel Brooke and Lindi Ortega enlist the dark, Gothic side of classic country, but come up a little short when it comes to the moaning steel guitar that really gets your country music juices flowing. And though artists like Kacey Musgraves and Brandy Clark have found their way to some industry success, sometimes their songwriting can feel more like writing from formula rather than the muse of real life experience. 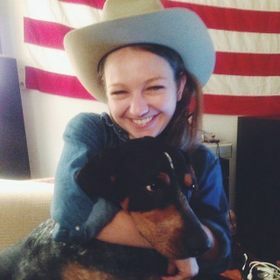 If you’re looking for the country music female revolution’s representative for true neotraditional country, yet one that gives up nothing to her peers in songwriting, if not setting the current standard, Kelsey Waldon might just be your perfect match. This petite little native Kentuckian rears back and gives you twelve new original songs on her album The Gold Mine that rivals most any other batch of tunes from any other female or male for that matter from this calendar year. Strikingly traditional, yet still fresh feeling with enough evolved moments to be connected to the current mood, The Gold Mine is a boon of audio treasures mined from the great American music unknown. If this album was released in the 70’s, it would have birthed a slew of indelible country standards. Such inconsolable heartbreak, such sorrow-drenched insight is captured on these tracks and then embellished with tasteful production, you want to pull these songs close to your chest and never let go. “Town Clown” is a vessel for the ghost of Kitty Wells. “One Time Again” re-imagines the sonic textures of Tammy Wynett’s “Your Good Girls Gonna Go Bad.” And songs like “Not My First Time,” “The Gold Mine,” “Me & You Again,” and “Getting There” speak to the aching, eternal sorrow of an authentic country music soul looking for relief through song. To have a great album, you need a great song that transcends even its fellow track mates and can tug on a wider ear, and The Gold Mine has one in “High In Heels.” From an album whose biggest takeaway is how traditional country it is, here comes a total alt-country/Americana moment that arguably creates the deepest crater in the heart of the listener during the entire offering. The somber resignation to fate is the encapsulating mood the pervades The Gold Mine, and makes it feel like one of those projects for the ages. About the only scab to pick at is the verse to “Town Clown” is a little too similar to Merle’s “Okie From Muskogee,” but let’s be honest, is this really a bad thing? 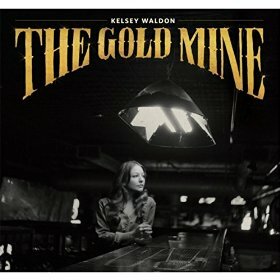 The Gold Mine benefits greatly from the help Kelsey Waldon wrangled together for this project, including guitar player Jeremy Fetzer who you may have seen playing previously with Caitlin Rose, and who comprises half of the band “Steelism.” Brett Resnick does an excellent job on steel guitar duty, and so does Skylar Wilson on the keyboards. And producer and bass player Michael Rinne really deserves extra kudos for doing such a tremendous job in shepherding Kelsey’s songs to our ears with such taste and care. The effort by all parties on The Gold Mine feels triumphant in its results. It may seem almost intimidating to navigate through all the worthy female country and roots artists you can resign your music time to these days. 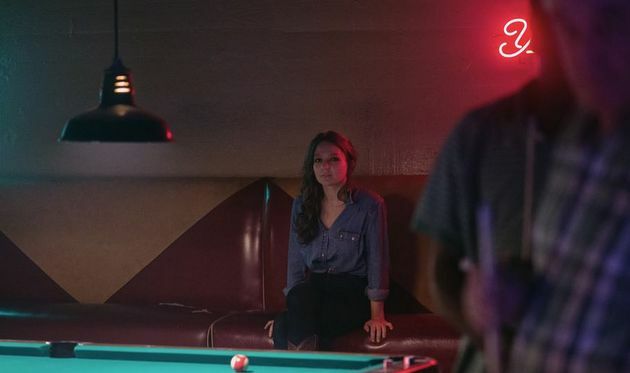 But if your leanings are more towards traditional country, Kelsey Waldon and The Gold Mine aren’t just the perfect starting point, they’re the current apex. I don’t know Trig. This girl ain’t bad at all, but I’d say she falls behind Amber Digby. Amber’s last album was released almost two years ago. Great album, but I’m talking about the batch of current releases. Oh ok, your simply talking about women with current albums out. I thought you were comparing current female artists in a general sense. I think both are great, just different flavors. Amber has a sweeter voice; Kelsey brings a refreshing rawness. Sugar and spice, perhaps. Absolutely spot on. I got this record a month or two ago and it is still locked into the top spot of mp3 player. Very excellent review, Thanks Kyle. Just listened to it and its definitely a keeper. Me & You Again could be Neko Case. Man, I’m really digging this. A few songs in, and I’m hooked. Definitely picking this one up! Nice. Very nice rich sound. Gonna keep on listening. That’s a great album. I especially love that steel hook throughout “One Time Again”. Yeah, that’s a great song, liked it too. Reminded me somehow of Johnny Cash’s “I got stripes”, with some snatches of it’s melody and of it’s tone. Another cool Nashville artist, originally from Kentucky, who has a bit of a 70’s country vibe. Kinda reminds me of another modern country artist I know. Now I want to hear a duet! Anyway, this album is great! Nice review, too. I really wanted to like this album, but her lyrics make it damn hard. She can write a nice melody, but it just sounds like she doesn’t have much to say. I’ve given this a few listens and I have a similar reaction, LoH. I love her voice and the overall sound on this but most of the lyrics seem like a list of cliches. There are a couple songs on here that I found more interesting and original and there is an intensity and sincerity to her delivery that will keep me listening and looking forward to her future efforts. She should make an album with Kacey Musgraves. Kacey Musgraves could use a little melody. Just started listening… loving it. Purchasing it as soon as I get home tonight. Thanks for the heads up on this. I love love love this album! Thank you sooo much! Thanks – had not heard of her, and I’m enjoying this one as much as the Karen Jonas album so that is saying alot. Unfortunately, I have not been able to listen to this whole album yet, since I am on vacation in India and my Internet connection is rather unsteady. Based on the small bits that I have heard so far, though, I am loving it. I will offer a fuller comment after I hear the whole thing. Oh thank God, after listening to the electro beats on Jason Aldean’s “Sweet Little Something” and Chase Rice’s new album ‘Ignite the Night’ and Lee Brice’s “I Don’t Dance” and “Girls in Bikini’s” I was starting to feel like country music was dead. This album is fantastic. By god, I love country music. The sound of this album along with that picture of her in a pool hall makes me want to fly down to Kentucky and propose to someone.